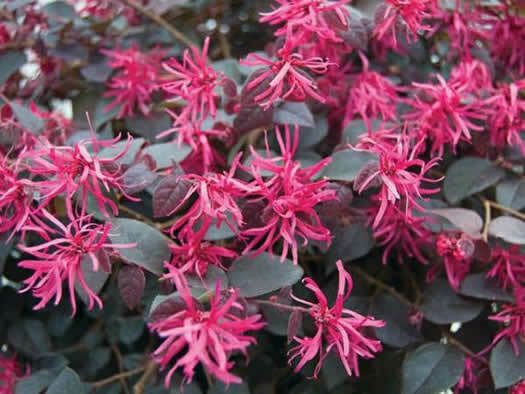 The great red leaves make way for clusters of pink flowers all over the plant in winter to spring. The more sun you give this plant the better the leaf colour. Severe frosts will affect this plant, but ours shoot back every year.